Virginia growers are used to contending with the uncertainties of nature: late spring frosts, summer droughts, tropical rains before harvest all come with the territory. California, on the other hand, enjoys predictable weather – yet 2017 threw a curve-ball at this state with a near-perfect grape-growing climate. For three weeks in October, historic wildfires raged across California wine country. 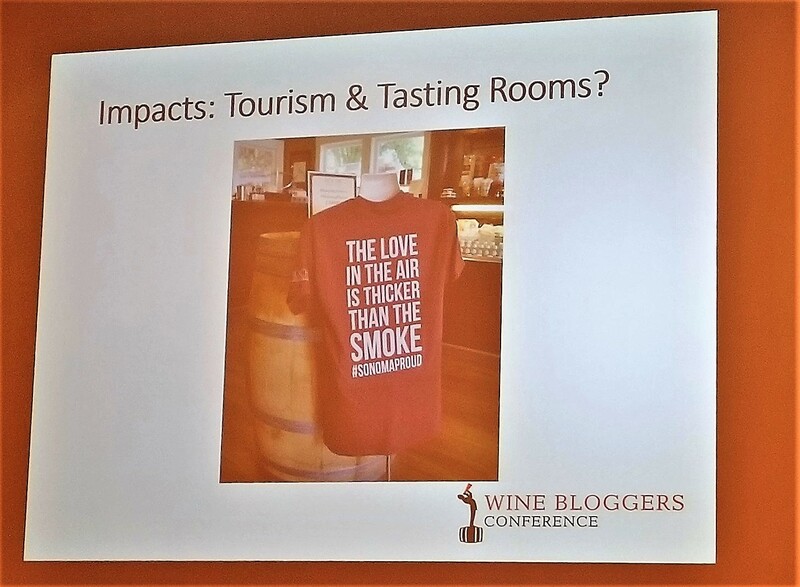 Arriving in downtown Santa Rosa for the 2017 Wine Bloggers Conference the following month, Ecco’s sensitive nose twitched as she picked up the lingering smell of smoke in the air. 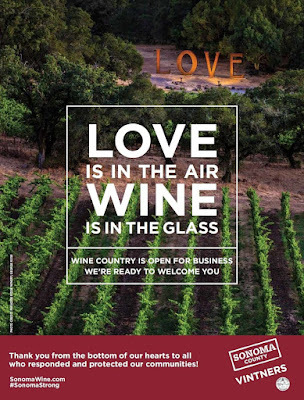 The million dollar question lingering as well – would it affect the wine? “Sonoma Strong” banners greeted the Wine Dogs and other bloggers, proclaiming the region’s determination to recover and move forward. 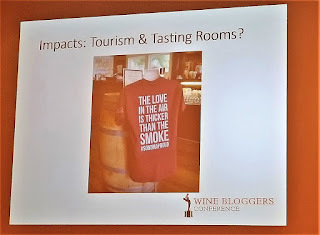 The conference, which had been set in Sonoma over a year advance, embodied that spirit. 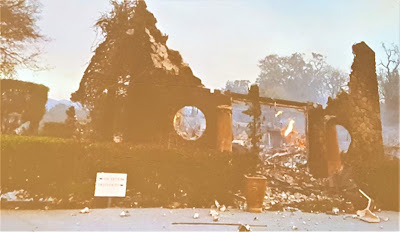 Ecco saw the charred remains of burnt-out wineries only in presentations by Signorello Estate and Paradise Ridge. These were the exceptions. Only a small fraction of the area’s 425 wineries (around 50) suffered direct damage from the fires and only 5 percent had significant damage. 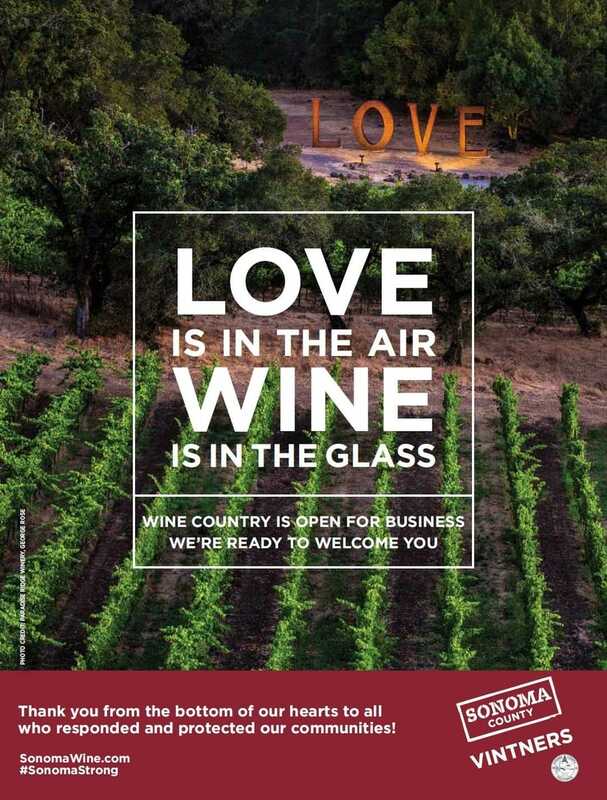 “If you didn’t know, you wouldn’t know” was true for most of Sonoma – except that almost everyone knew. The nighty reports took their toll on the wineries. 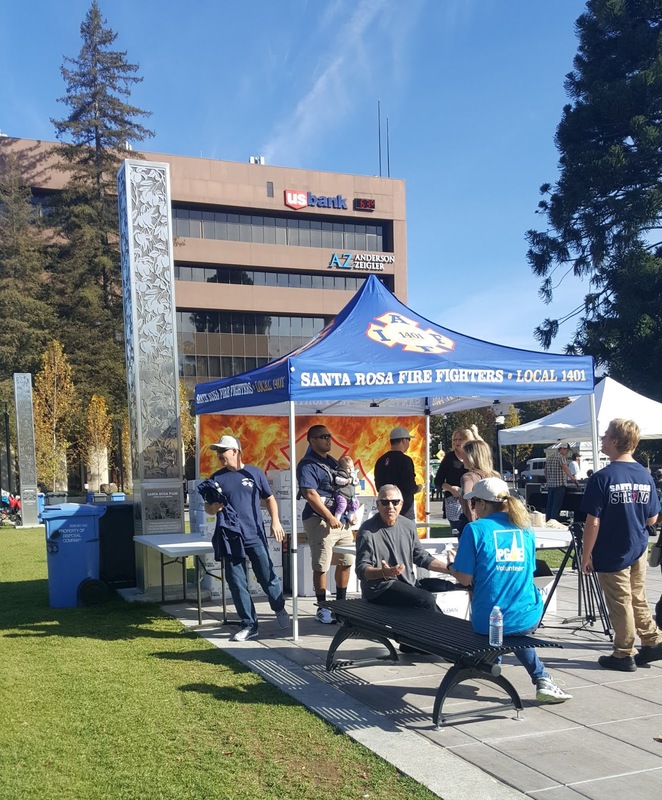 The fires struck during peak tourism season – and continued to have an impact long after the blazes had been extinguished. So the first challenge was letting everyone know what Sonoma was still in business – even if for some it was not business as usual. In addition to the heroic efforts of firefighters and other first responders, the vines themselves could be considered heroes of the saga. It turns out grapes – with their roots that run deep and ability to hold moisture – serve as a natural firebreak. The 2017 vintage was 90 percent harvested before fires, and winemakers were reported to be “very optimistic” about vineyard. What was left hanging on the vines was mainly cabernet – a relatively thick-skinned grape. Will there be smoke-taint? It is still too early to know. Reds are still in the barrel. Ecco tried to find an early 2017 Sonoma white to sample as she wrote her blogpost. Nothing was available yet on the East Coast. 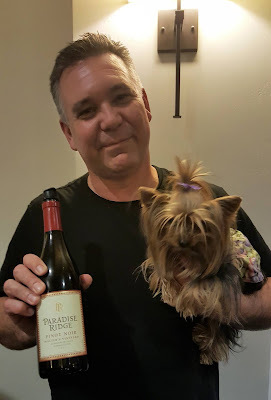 She did, however, get her paws on a 2017 Napa Chardonnay, and it was excellent. 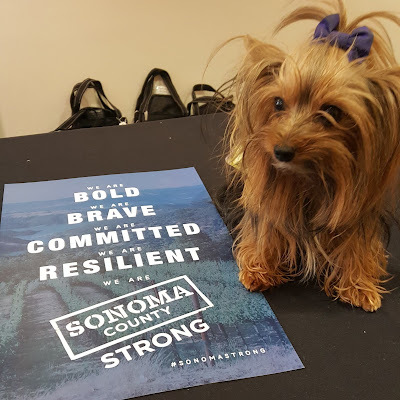 And the Sonoma Strong spirit endures. This year’s recently concluded Sonoma County Wine Auction broke records, bringing in $5.7 million dollars, almost half of which will go to fire relief. 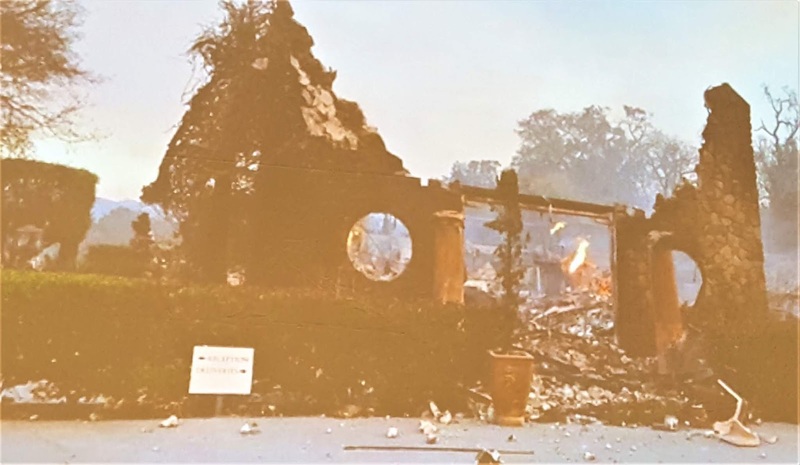 Eight months after the fires, eight months after the fires, Signorello Estate unveiled a temporary tasting room and began pouring wine. 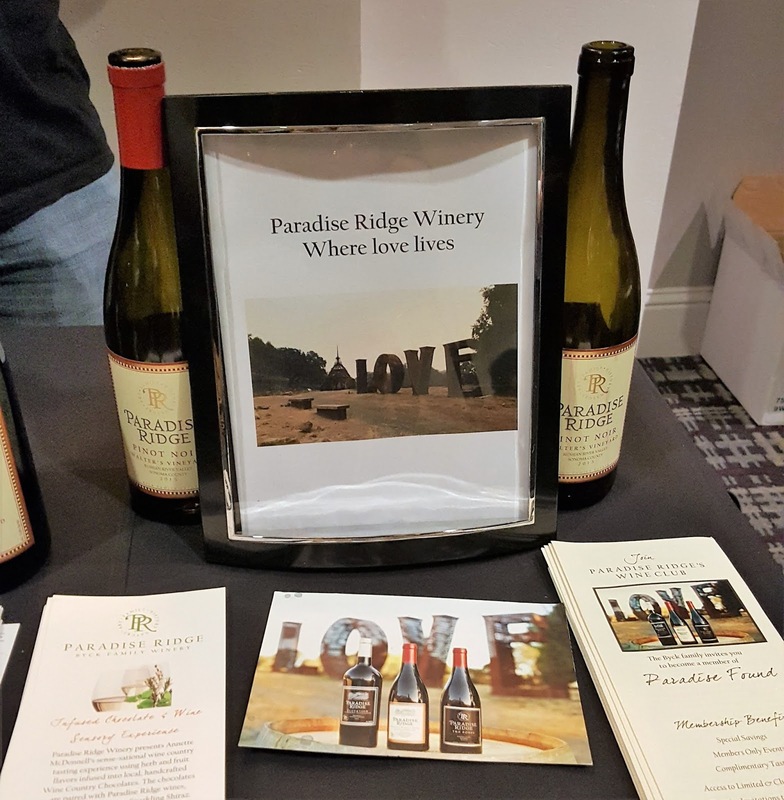 Paradise Ridge has plans to rebuild their tasting room and events building, with a prospective reopening in the fall of 2019. 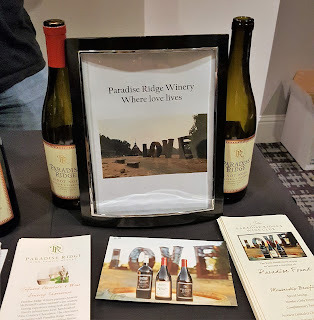 In the meantime, you can visit them at their tasting room in Kenwood.